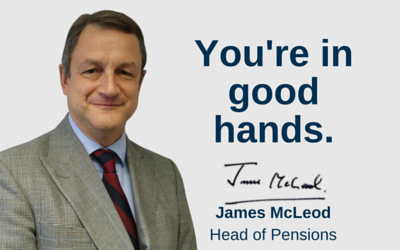 Do you have a UK registered pension and are you a tax resident in China? If the pension remains in the UK, under the DTA, no UK tax would be due on payments (at up to 45%) with China (as country of residence), having sole taxing rights. Under domestic law, if domiciled in China such income would be subject to Chinese IIT. If non-domiciled but resident in China for more than 5 full consecutive years, foreign pension income is subject to Chinese IIT from the 6th year if you continue to reside in China for the full calendar year. If nondomiciled and not resident in China for more than 5 full consecutive years, the foreign pension income should not be taxable because it is foreign sourced income. Furthermore, the fund remains exposed to the UK death benefit charges. Transferring to a Gibraltar QROPS for non-UK residents (5 years +) can alleviate UK tax on payments (at up to 45%) with 2.5% Gibraltar tax on payments and tax in China (at 20%) if domiciled in China or non-domiciled and taxed on worldwide income basis (i.e. from 6th year of residence). A foreign tax credit should be available for Gibraltar tax paid to alleviate any double taxation. Furthermore, the QROPS can protect from the UK death benefit charges if non-UK resident (5 years +) and there is no Gibraltar IHT. Transferring to a Maltese QROPS, for non-UK residents (5 years +) can alleviate UK tax on payments (at up to 45%). No Maltese tax, with tax in China (at 20%) only if domiciled in China or non-domiciled and taxed on worldwide income basis (i.e. from 6th year of residence). Furthermore, the QROPS can protect from the UK death benefit charges if non-UK resident (5 years +) and there is no Maltese IHT. There is a DTA between the UK and China. Under this, pensions and other similar remuneration, including annuities paid as part of a pension arrangement to a resident of China, are taxable only in China. Gibraltar has no DTA with China, therefore the QROPS payments to you would be taxable in Gibraltar, currently at a rate of 2.5%. Malta has a DTA with China, this provides that pensions and other similar remuneration paid to a resident of China in consideration of past employment shall be taxable only in China. However, if the pension is not paid in consideration of past employment it is also generally only taxable in China (under the Other Income Article of the DTA). We understand that the Maltese Tax Authorities do not treat pensions from QROPS as “paid in consideration of past employment”. There are separate provisions for Government Service Pensions. If Malta taxes the QROPS income payments (unlikely based on the above), they are taxed at rates up to 35%. Individuals domiciled in the Chinese mainland are subject to Individual Income Tax (IIT) on their worldwide income. Non-domiciled individuals staying in China for less than 1 year are subject to IIT only on Chinese-source income, where an individual derives income by providing labour services in China, regardless of whether or not the location of payment is in China. Non-domiciled individuals staying in China for 1 full year but not exceeding 5 consecutive full tax years will also be subject to IIT on their non-Chinese source income to the extent that such income is borne by a Chinese entity. They are not subject to IIT on other foreign source income, even if remitted to China. Non-domiciled individuals staying in China for more than 5 full consecutive years are taxed on worldwide income as from the 6th year for each full tax year (i.e. calendar year) spent in China. The test for domicile in China is dependent on whether an individual is habitually residing in China due to household registration, family ties, or economic reasons. The term, “habitually residing”, is a legal criteria for determining whether an individual has residence or not, and it does not refer to “actually resides” or the place where he/she resides for a specified period of time. Under the current IIT law in China, there are no specific rules or regulations to define the taxability of foreign pension income received by an individual. However, applying the general principle, any income received by an individual would be taxable unless such income is specifically exempted. Therefore, foreign pension income would generally be taxable in China. There is no difference in tax treatment if the pension is paid in regular income payments, lump-sum, or multiple lump-sums. Income received by an individual is taxed based on receipts and the relevant monthly income tax return should be filed accordingly. There is also an annual filing requirement for individuals to consolidate all the income received during the year to settle any outstanding tax liabilities. The prescribed tax rate of the income received by an individual is determined based on the income nature. For example, employment income is taxed based on progressive rates from 3% to 45%. Currently, there is no prescribed tax rate applied to pension income and therefore we consider that the Chinese Tax Authority would likely treat the pension income as “other income” and apply the relevant prescribed rate at 20%. A foreign tax credit should be available in China in respect of tax paid in a foreign country. This credit cannot exceed the amount of tax payable in respect of the pension income computed based on the domestic rules in China.